Android undoubtedly swept the entire smartphone market with a market share over 85%. It is due to its wide hardware support and an open-source operating system. Apple’s iOS hold the second largest market globally but still Android hit the peak of the leaderboard. Android has a far better reach due to its customizability which makes it a perfect choice for other devices too, while iOS is restricted to Apple devices only. 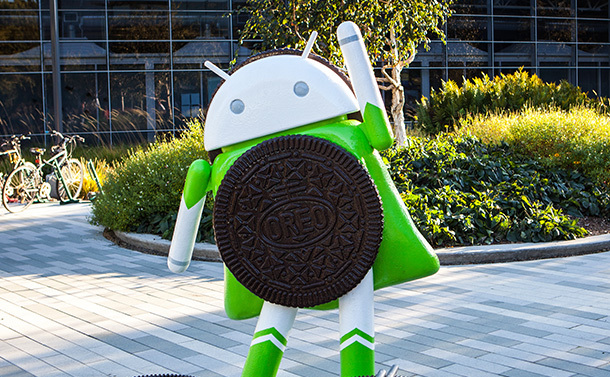 Google released Android Oreo (was internally codenamed “Oatmeal cookie”) with an alpha developer preview in March,2017. The public release came on August,2017. It is the eighth major version of Android developed by Google. It comes with many major features such as Picture-in-Picture mode, Autofill framework, notification clustering, high-end integration with VoIP apps, Bluetooth 5, multi-display support and many more. OS has been designed with wide hardware support but cooperating with the latest software makes it a difficult task. No OS can be 100% bug-free, even after rigorous trial and testing, some glitches slip through the crack. Android Oreo 8 and 8.1 are already rolling out in devices like Pixel, Nexus, HTC, Huawei etc. Android 8.0 has been upgraded to extensive beta version, which lead to plague of bugs on the devices operating on it. Busted Bluetooth, issues with WIFI-connectivity, installation malfunction, crashing apps, faulty Ambient display etc. These are minor tweaks that Google will resolve in its next major update. Till then, before downgrading your system or reporting to Google customer support refer to our blog and you might find the solution to these bugs. This is the most common issue in devices running on Android Oreo 8 and 8.1. Before trying the methods listed below, try rebooting your phone since it enables the disabled network adapters of your device and check if WIFI is connected or not. If not follow these instructions. Step 1: Restart your router. Now in the next step, we will reconnect to the Wifi Network. Check if the Wifi is connected or not. Step 1: Go to Settings> System > Reset > Network Settings Reset > Reset Settings. It will reset the network adapter settings. Since third party apps can be a major cause of connectivity issue on your device. Enabling safe mode disables all the third-party apps on your device. Follow the instructions below to reboot in safe-mode. Step 1: Press and hold the power button. Step 2: Touch and hold ‘Power off’. Step 3: Your device will now reboot in safe mode. You will see a safe mode symbol in the bottom left corner of your device. Step 4: Check if WIFI is working in the safe mode. If yes, then try finding the third-party app which is causing the issue and delete it. Step 5: To exit the safe mode, press the power button and tap ‘Restart’. After the update, several users reported the frequent dropping of Bluetooth connections and a lot of speed/performance issues as well. This is another frequent bug faced by the users. Try the most hit and trial method of rebooting your device and check if this works. Step 1: First, turn the Bluetooth ON and again turn it off. If toggling on and off doesn’t work, forget the connection and try reconnecting it by following the instructions above. Step 3: Try reconnecting by pairing it with the device again. Deleting the cache and data related to Bluetooth can be a fix to this issue. Follow the steps to clear the cache. Step 2: Tap on the 3 dots on the top right corner. Step 3: Select ‘show system apps’. Step 4: Scroll down to ‘Bluetooth Share’. Step 5: Open it and tap Storage. Step 6: tap ‘clear cache’ and ‘clear data’. It is one of the most prominent bug users faced while downloading the update or side loading it. A quick restart is always recommended since it alleviates a lot of issues. In case it doesn’t help try clearing the cache partition by following the steps below. Step 1: Press the power button and hold it along with the volume down button until you see something on your screen. After a while, a big arrow will appear on your screen. Step 2: Press the volume down repeatedly until you see the recovery option. When you reach the recovery option, tap the power button. You will see an Android with a red triangle and an exclamation mark. Step 3: Keep holding the power button now along with the volume up button and then release the power button. Step 4: A list will appear on the screen. Step 5: Press the volume button and navigate till you find remove cache partition. When the option to remove cache, partition gets highlighted press the power button to start the process. Step 6: The status of completion will appear on the screen. It is a bit time-taking process. Reboot the device at the end of the process. After the update Oreo 8.1, users saw an unacceptable drop in battery backup. The possible reason is the battery usage by apps running in the background. Abandoning them to run in background can be a fix to this problem. Step 2: Analyze the apps that are using more juice. Step 3: Uncheck the permission to run in background. Step 4: Some apps have permission to run in battery saver mode. Check them and if they are not important, then uncheck the permission. Outdated apps can behave unusual at times thus updating apps are the most eminent solution to this. If the problem persists, methods below can resolve the bug. Force stopping the app will completely terminate the service it is running in the background. Step 2: Tap on App’s name and then select the storage tab. Google has been actively working on refining the Android Oreo and making it bug free by addressing and fixing the bugs in the latest update. For those who have not received the update and wish to continue with Oreo and facing some errors might have met the solution to their problems. It will be very interesting to see the performance of Android Oreo Go Edition that has been designed for devices with low-end specs and require just 512 RAM and 1GB Storage. Google designed it by analyzing the market demands of mid-range smartphone. It will fulfil the dream of every mid-range smartphone user to enjoy the perks of a high-end OS like Oreo.